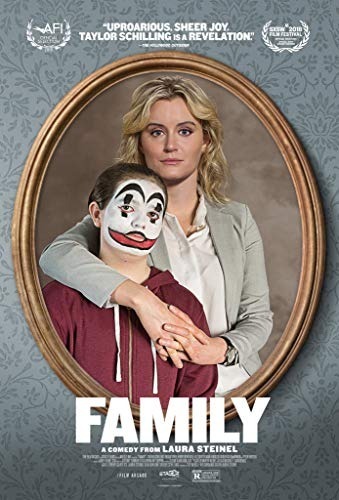 Family is an 2018 American comedy film, written and directed by Laura Steinel, in her directorial debut. It stars Taylor Schilling, Bryn Vale, Brian Tyree Henry, Jessie Ennis, Blair Beekin, Matt Walsh, Allison Tolman, Eric Edelstein, Kate McKinnon and Fabrizio Guido. It had its world premiere at South by Southwest on March 11, 2018. It is scheduled to be released on April 19, 2019, by The Film Arcade.